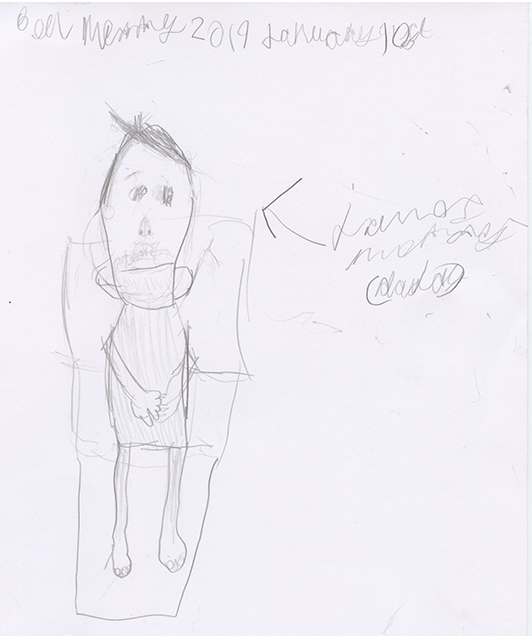 I drew a sketch portrait of Ben, and then he drew a portrait of me. I think Ben did the better drawing! 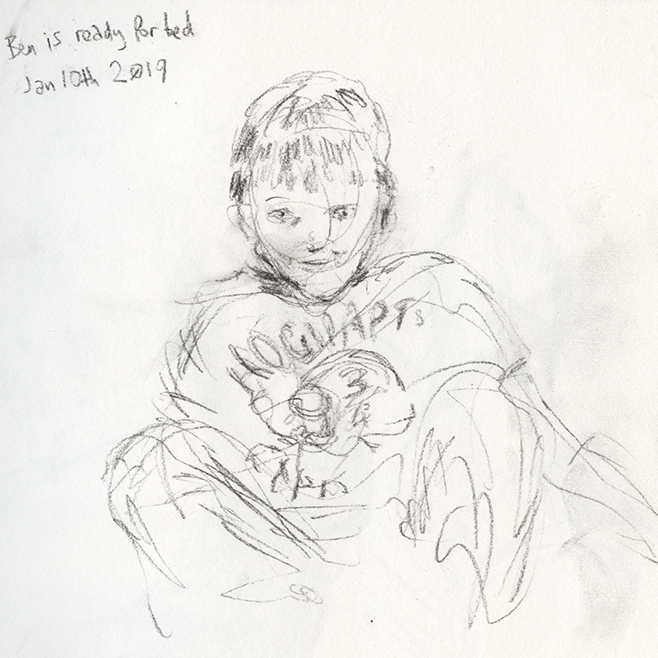 This entry was posted in Uncategorized and tagged portrait, sketch. Bookmark the permalink. he drew you in bed. Actually I’m sitting on an armchair, with my legs up on the footrest thingy.